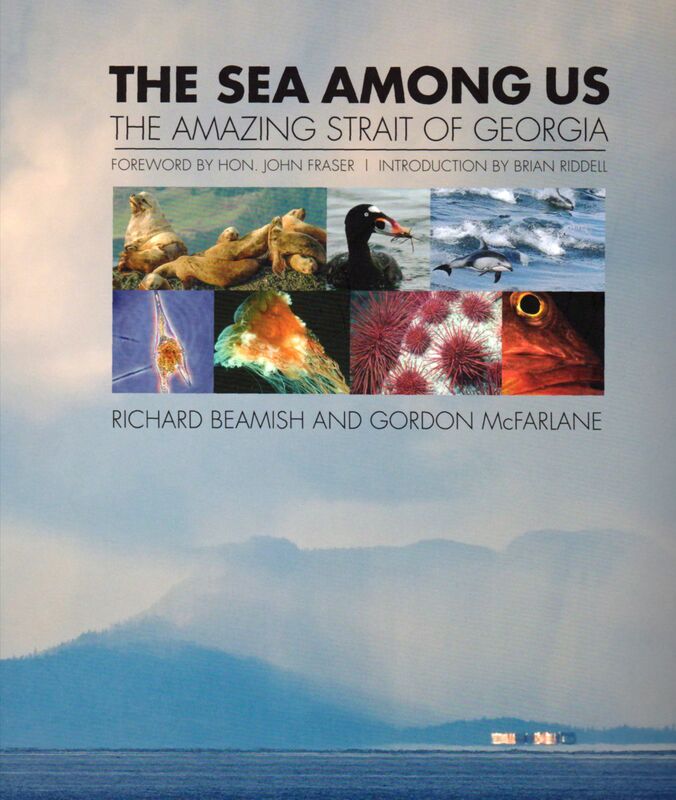 The Sea Among Us by Richard Beamish and Gordon McFarlane, published by Harbour Publishing, presents a comprehensive study of the Strait of Georgia. Twelve experts have come together to provide chapters on fish, marine mammals, geology, oceanography, birds, the history of settlement and of industry. 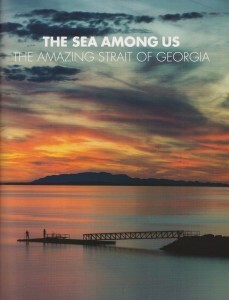 The book is written for the general public and the authors hope that the information it provides will form a common currency for stewardship that will be needed as the population around the Strait of Georgia increases by about 50 per cent over the next few decades. The Strait of Georgia is the centre of recreational and commercial activity in British Columbia. It is also a major rearing nursery for a number of important species of invertebrates, fishes, marine mammals and birds. As Gordon McFarlane writes: “With the anticipated population growth, there will be more habitat destruction from coastal development, increased discharge of contaminants and sewage from urban areas, and increased use of the strait by resource industries such as aquaculture, fishing and forestry. Marine vessel traffic will increase, as will recreational use. Although debate continues on the relative impacts of these various threats, there is no debate on the requirement for new, more holistic approaches to prevent or mitigate impacts, and to sustainably manage the use of the strait and its resources. These approaches will require movement toward building frameworks for ecosystem assessment and management. “Ecosystem assessment refers to monitoring climate ocean indices and indicator species to detect physical and biological changes. Indicators should be directly observable and based on well-defined theory, while also being understandable to the general public, cost effective to measure, supported by historical time series, sensitive and responsive to changes in ecosystem state, and responsive to properties they are intended to measure. Without ongoing monitoring and evaluation of the effectiveness of management actions, we have no way of knowing if management strategies are working. Unfortunately, by the late 1980s there were signs of change in the strait. One major issue was the decline of Chinook salmon returning to the Cowichan River. A short while later major changes in the abundance and behaviour of coho salmon resulted in the closure of coho fisheries in Southern BC. There were many other ecological changes occurring such as the loss of kelp beds and local herring spawning locations. 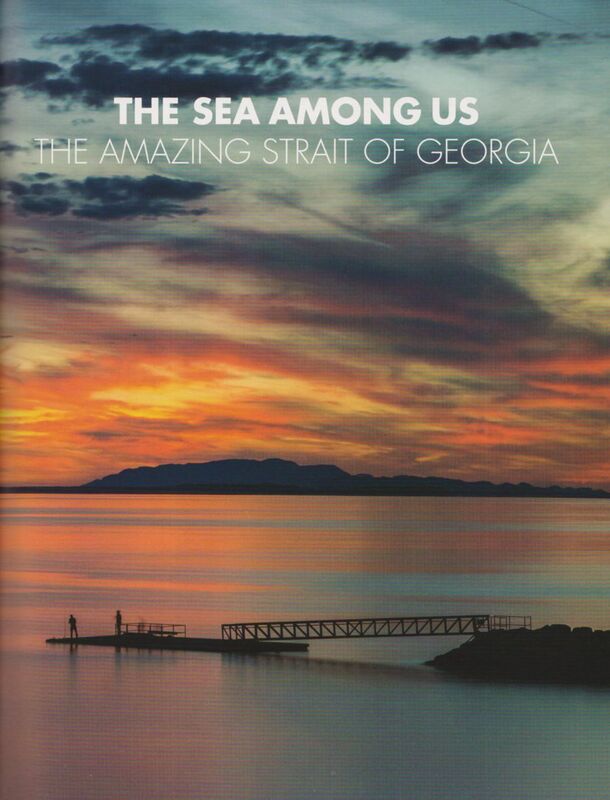 These changes had a huge impact on the lives of many people living on the Strait of Georgia. Some twenty years have passed since the loss of the Strait of Georgia coho and yet little has been done to explain the changes or mitigate the effects. Increasing people’s appreciation of the strait is an essential step to its care and protection. The Pacific Salmon Foundation used the publication of this book to announce the creation of the Salish Sea Marine Survival Project (2014 – 2018), which will tackle the challenge of restoring sustainable Chinook and coho fisheries within the strait. The project is a multi-disciplinary program to understand the primary factors affecting early marine survival of salmon, and ultimately to apply this knowledge to restore and sustain local fisheries and community benefits. Profits from the sale of The Sea Among Us will be directly invested in this restoration program.